Blackberry has officially launched the Blackberry Evolve X with cool specifications and features. Blackberry Evolve X is the successor to Blackberry Key2 but without the hardware keyboard. 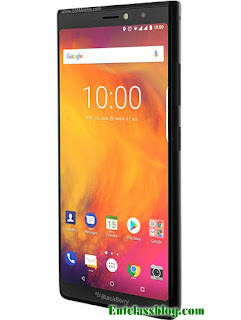 Blackberry Evolve X spots a 5.99-inches screen display with 18:9 aspect ratio, rear-mounted fingerprint scanner, Dual 12 megapixels + 13 megapixels rear camera with a single flash as well as 16MP front facing camera without flash. The BlackBerry Evolve X came running on Android 8.1 Oreo straight from the box, powered by Qualcomm Snapdragon 660 chipset, coupled with a 6GB of RAM, 64GB internal storage and a 4000 mAh battery with QuickCharge 3.0 and wireless charging. Price in India is INR34,990 / $510 USD / €430 Eur / N184,000 in Nigeria. blackberry? God forbid bad thing, I my moving forward or back, smile. The blackberry company is moving higher, the phone is good having nice RAM and ROM and a good battery.